Lee Clark had warned there would be a clearout at Kilmarnock, and he wasn't kidding. Their manager has taken full advantage of his first transfer window as Killie boss to try and construct the sort of team that he wants. No fewer than sixteen players with first team experience have been punted from Rugby Park this summer, some of whom have actually been paid off to leave. In the last week, eleven new faces have arrived - literally a new team, given that there is one keeper, four defenders, four midfielders and two forwards. It's not too long since Kilmarnock, under Mixu Paatelainen and Kenny Shiels, prided themselves on giving youth a chance. Clark, in contrast, clearly isn't impressed with the youngsters he inherited. It has not escaped notice that there aren't many Scots amongst them. Despite Gordon Parks' ignorant claims in today's Sunday Mail, they aren't all English - 'just' six of them - but there is but a solitary Scot, Callum McFadzean, who has spent all his career so far in England. Parks isn't the only person to criticize this signing policy - though no-one else managed to emulate his preposterous claim that Killie had "abandoned their duty to the Scottish game". During these European Championships, it's become pretty standard to look at the success of smaller countries than our own and wonder what we're doing wrong. Iceland, for example, have stunning facilities and large numbers of outstanding coaches. Why, I asked my father last week, couldn't Scotland manage that? "Because football isn't a business there", he replied. Clubs in Iceland don't rise and fall based on one good or bad season from their first team. Turnover does not reach millions of pounds. The clubs don't just choose to engage overwhelmingly with the local community; it's the only way they survive. And so, fifteen years on from the big investments in pitches and coaches that followed an economic boom, they're reaping the rewards. Where is Kilmarnock's motivation to do this? They've managed one top six finish in the top flight in the last nine seasons...which means that most of the other eight campaigns have involved battling against relegation. Their own financial woes mean that demotion to the Championship could lead to administration or worse. For all the youths that got their shot at glory in the last decade, only Liam Kelly, Matthew Kennedy and Robbie Muirhead have departed for fees - adding up to about £750,000. Their biggest sales were in fact Conor Sammon and Craig Bryson, neither of whom came through the local academy. Killie's situation can be extrapolated onto other clubs. Inverness Caley Thistle had their most successful seasons on the back of Terry Butcher signing a bunch of rough diamonds from England's lower leagues. Ross County are more willing to sign Scots, but they won this season's League Cup without a single local product. Are Parks and his ilk seriously going to turn round and say these clubs shouldn't be allowed to succeed unless they can do it with their own talent? "A damning abandonment of their responsibility for the greater good of Scottish football", my arse. After all, it's not as if Celtic - Kieran Tierney aside - are exactly flinging talented kids around willy-nilly. And they have the cash, and the coaches, and the facilities. So what's their excuse? And why aren't journalists picking on them? Scotland's youth-age teams have been filled with Celtic and Rangers youngsters for years, remarkably few of whom go on to become anything much. Yes, Scotland's national team is an absolute mess. Yes, we're not developing the players. 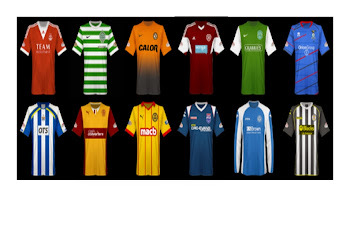 But the problem is not Kilmarnock, or any of the other diddy teams. The problem is the environment in which they are forced to operate. Once someone in a position of power pulls themselves away from their big fancy dinners and realizes that, then maybe we'll get somewhere.